Send general questions and digital files/download codes for review to ken@inhaletheheavy.com. We will gladly accept your physical media (ie. vinyl, tapes, vinyl, CDs, vinyl, etc.). If you send us your goods, we will definitely check them out and post a review. Mailing Address: Inhale the Heavy c/o Ken Kopija, 635 Joy Court, Marengo, IL 60152 U.S.A. Follow us on Twitter @InhaletheHeavy. Sometimes fast. Sometimes slow. Always goddamn loud! 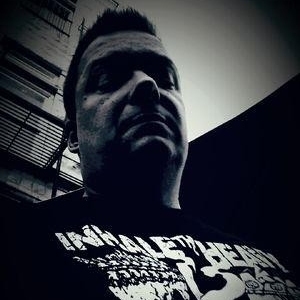 After developing a grunge archive site called Collecting Nirvana, and running a couple of metal feature and review sites dating back to the late 90s (Hard Rock & Metal and Metal Heavy), Inhale the Heavy was conceived and launched in 2012 by a sarcastic, black coffee drinking, vinyl hoarding curmudgeon named Ken Kopija. His main goal with Inhale the Heavy is to help lesser-known bands and musicians be seen and heard. Nothing is more satisfying to Ken than sharing the music he loves, and hearing that a review or a tweet resulted in a new fan for an awesome band or artist. During the last six years, Inhale the Heavy has grown to feature a multitude of guest writers, and boasts a tight knit trio of talented writers that live on three different continents. Unlike most metal blogs, Inhale the Heavy will only publish mostly positive reviews. This may seem supercilious, but it is not Ken’s wish to completely trash a band or artist that he and his writers may simply not understand. We strive for quality, not quantity. Heavy Fact: Inhale the Heavy’s logo was designed by Jean Saiz. In addition to being a very patient and talented artist, Jean is the guitarist/vocalist for the Miami based sludge band Shroud Eater. She also runs Primitive Violence, an independent label focusing on releasing cassettes in limited edition packaging. RAINN has helped more than 2.7 million people since 1994. Each year, April is Sexual Assault Awareness and Prevention Month (SAAPM). Find out what you can do to help support survivors and promote awareness by visiting the RAINN website.